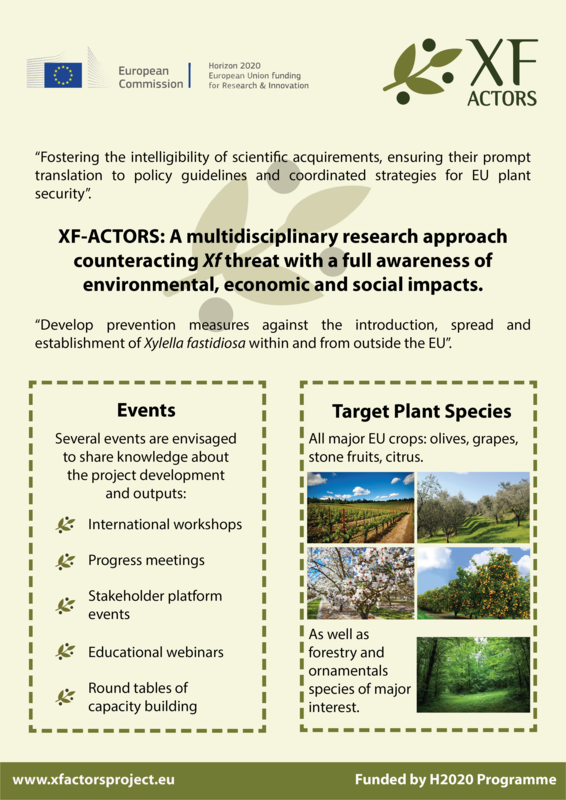 This factsheet, produced for dissemination purposes, describes the general characteristics of XF-ACTORS project. 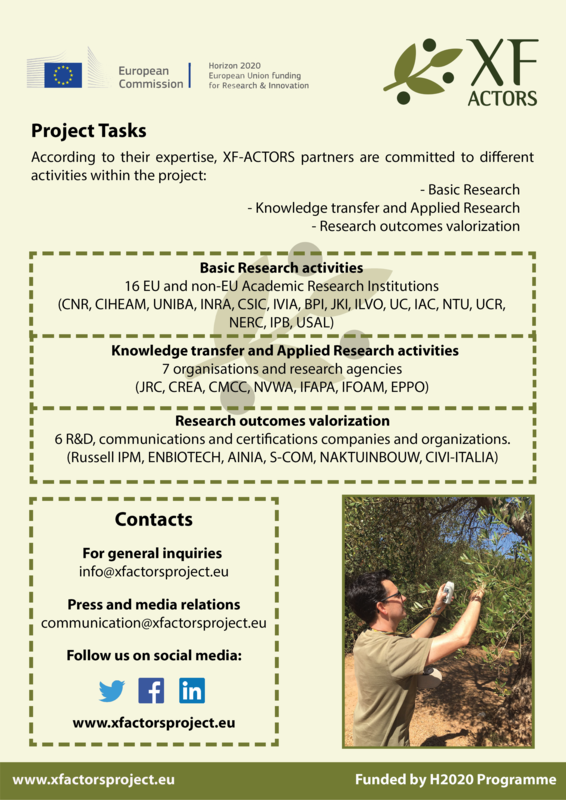 Starting from the description of the project and its consortium, the factsheet includes the foremost objectives and activities, the figures of the project, the domains of research, the events, the target plant species, the project tasks and the contacts. 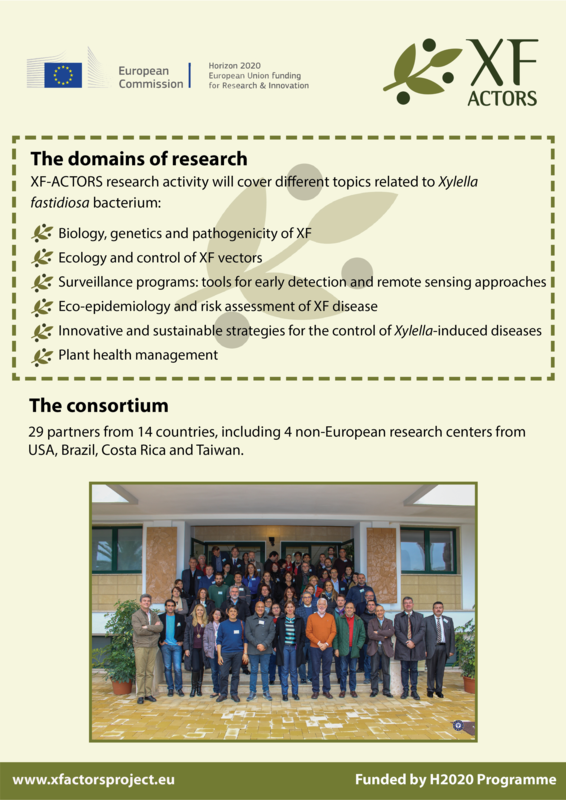 XF-ACTORS is the first international project in Europe entirely devoted to research on Xylella fastidiosa. 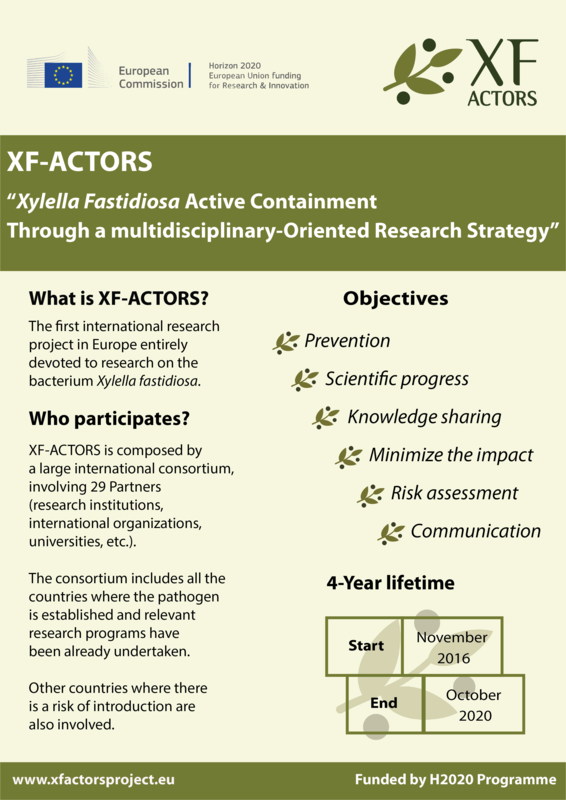 XF-ACTORS is composed by a large international consortium. It involves 29 Partners and Research Institutions, including 4 non-European research centers from USA, Brazil, Costa Rica and Taiwan. 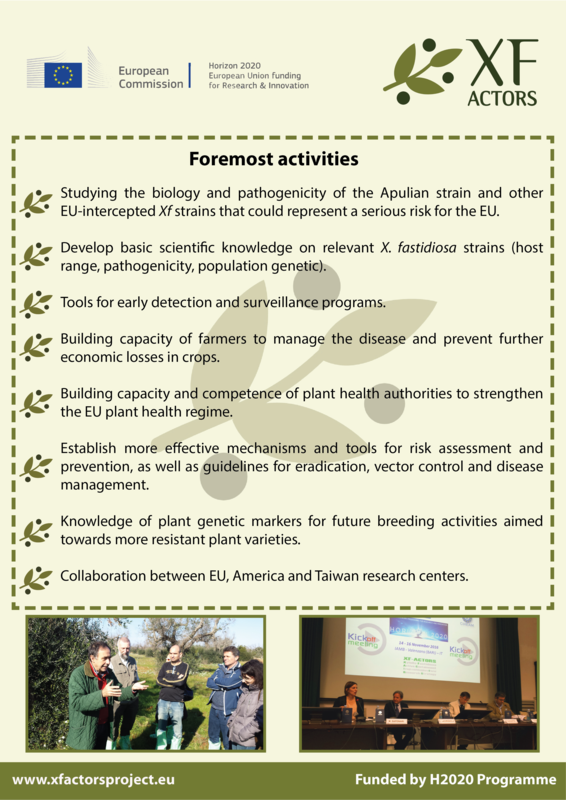 The project is funded by the H2020 programme.